The astonishing pace of aviation development during the First World War saw the aeroplane develop from a reconnaissance spotter, to a deadly air superiority ﬁghter. 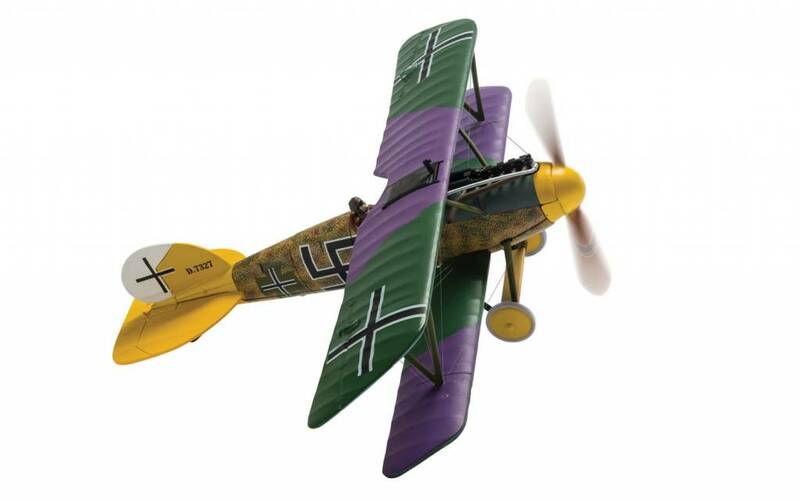 Arguably, the most important German ﬁghting scout aircraft of WWI was the Albatros series of aircraft, which saw almost constant use between 1916 and 1918 and were used by many of the great German aces to score large numbers of aerial victories.The German Air Service had enjoyed a period of dominance following the introduction of the Fokker Eindecker, but more capable Allied ﬁghters soon began to challenge this superiority. 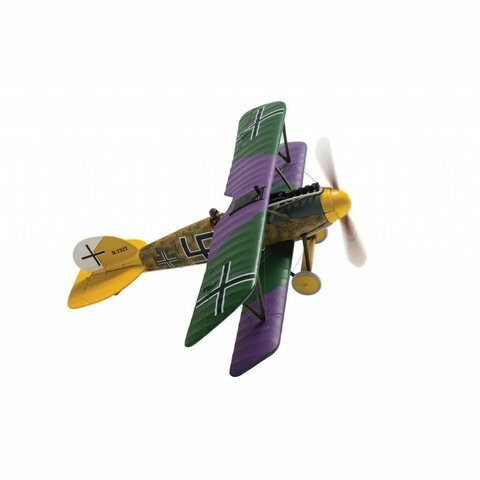 In August 1916, the new Albatros D.1 began to arrive on the Western Front and proved to be an instant success. With a powerful 160hp Mercedes engine and twin 7.92mm Spandau machine-guns, the Albatros had an exceptional climb rate and could cruise at high speeds. 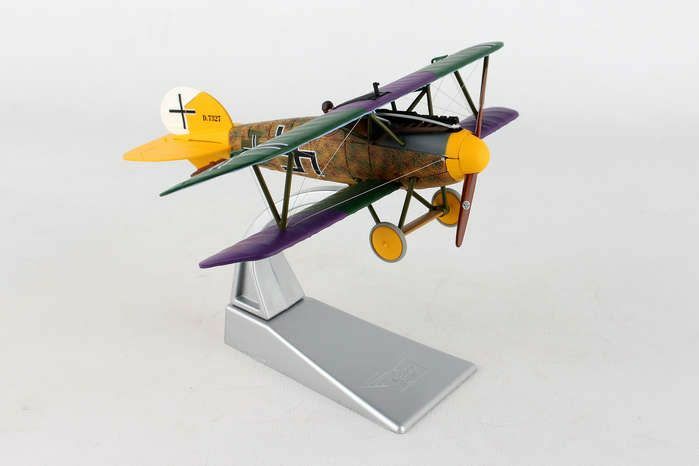 Over the next two years, Albatros Flugzeugwerke continuously developed the aircraft, culminating in the excellent D.Va version of the original design, which proved to be the workhorse of the Luftstreitkrafte. Unfortunately for the German pilots, by this time the British and French had introduced much more capable ﬁghters of their own.